MudFunk, a nine-piece neo-soul/funk collective, is carving an emotionally charged path in the city of Vancouver. Led by Adriana Parejas (vocals) and Will Lloyd (guitar), this nine-piece force sparked from a friendship at audio engineering school. Meeting at Pacific Audio Visual Institute, Will and Adriana envisioned a modern sound mixed with a soulful feel. On the heels of their debut EP, the two discuss the realities of working in a nine-piece group, the creative process behind MudFunk, and how their ideas of success have transformed. “Everything I write, I think about how people are going to move to it,” says Will. He dances in his apartment to feel a song’s push and pull on the body. “Will it be more of a head bob or a side to side motion?” he says. Adriana writes within a similar thread of thought. “I want people to feel the story...feel the music and connect,” she says. 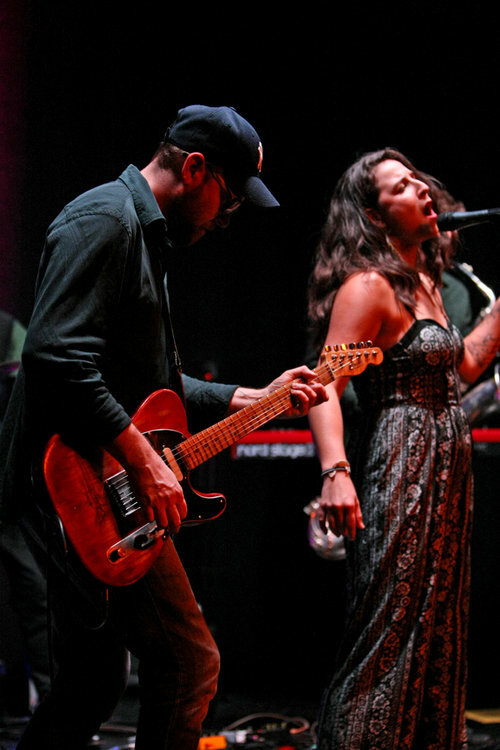 “There is a significant amount of heart that goes out to those who listen.” Back in 2014, Adriana Parejas and Will Lloyd started the nine-piece band MudFunk. The Vancouver based collective harnesses contemporary R&B, funk, and soul influences. Will and Adriana met at audio engineering school. They played blues music together at Pacific Audio Visual Insititute. Soon, they spent every day together writing and creating. With Adriana on vocals and Will on guitar, they performed at local venues. Both started to crave a bigger, more soulful sound. “Taking that modern sound and giving it a soul feel, that neo-soul vibe, always drove me,” says Will. They reached out to the music community around Vancouver for a horn and backup section. Chris Couto, a local drummer, shared a parallel vision and linked with WIll and Adriana. Then, more pieces began to fall into place. A trio of vocals, guitar, and drums morphed into a nine-piece force wielding saxophones, bass, keyboard, and backup singers.